What’s In My Frack Fluid? Let’s consider a typical hydraulic fracturing (fracking) operation at a natural-gas well in Beaver County, Pennsylvania. This particular frack site is right in the middle of Marcellus Shale country and lies along the state’s western border, in a rural community similar to many throughout the mid-Atlantic region. The nearest house is approximately 300 feet away and the nearest neighborhood is 1200 feet away. Within 3000 feet of the site lies a sprawling golf course and a small community of 20 houses. 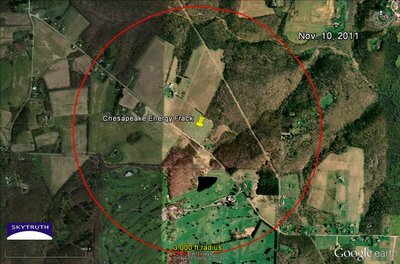 The frack site itself is in the center of a farm field in an agricultural setting, and is operated by Chesapeake Energy Appalachia LLC. With such close proximity to a small community, the chemicals used in the fracking procedure certainly raise concerns. So…what exactly is in “fracking fluid” anyway? 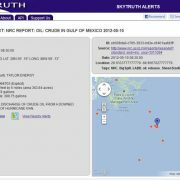 FracFocus.org is the website used by the drilling industry to voluntarily publish their frack site information (i.e. location, ingredients in frack fluid) for the public to see, and a quick look at it’s ingredients list should help to answer our question. The ingredients list for this specific frack reveals a seemingly innocuous mixture (for a fluid that, y’know, breaks open rock thousands of feet below the ground). The fracking fluid consists mostly of water (89% by weight) and sand (10.38%). These ingredients amount to 25,025 tons of fluid. The remaining 0.52% of the mixture is made up of an additional 133 tons of chemicals that must be trucked onto the site. Though most of the individual chemicals are less than one ton, there are larger amounts of certain ingredients. For instance, hydrogen chloride (hydrochloric acid) totals a whopping 41 tons. Other ingredients, such as a ‘carbohydrate polymer’ comprise 33 tons, and a ‘synthetic organic polymer’ makes up 21 tons of the fluid. Other high-amount ingredients include tetramethyl ammonium chloride (13 tons), ‘aliphatic polyol’ (11 tons), potassium hydroxide (5.5 tons) and hydrotreated petroleum distillate (3 tons). Excerpt from FracFocus data sheet showing amount of hydrogen chloride (hydrochloric acid) used in Chesapeake frack. 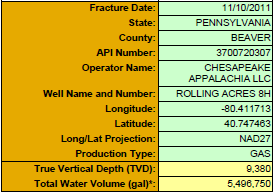 Amounts in FracFocus are given as total percentage of the frack fluid by weight, not a very meaningful way to present this information to the public. The problem is the incomplete disclosure of these chemicals. Each ingredient I’ve listed in the above paragraph in quotation marks has a generic name, and is lacking a Chemical Abstract Service (CAS) number that specifies what the chemical really is. Counting the three ingredients I’ve already listed in this article (the aliphatic polyol, the carbohydrate polymer and the synthetic organic polymer) there are a total of six ingredients in this particular mixture that have no CAS number. Totaled, this means almost half of the chemicals listed (by weight) have been purposely unaccounted for. 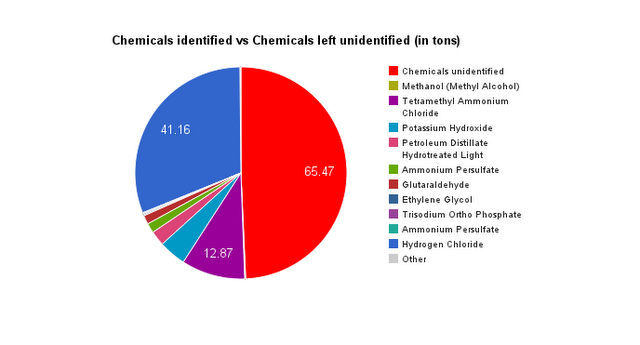 Comparison of chemicals accounted for and chemicals not identified (red). /wp-content/uploads/2016/08/test_logo.png 0 0 Yolandita Franklin /wp-content/uploads/2016/08/test_logo.png Yolandita Franklin2012-05-29 15:00:002019-02-20 14:50:28What's In My Frack Fluid? Last Friday, I posted a blog about our historical map showing the cumulative impact of mountain top removal coal-mining activity. At John’s request, I have begun using this data set to assess the expansion of observable mountain top removal (MTR) mining footprint since 2005, when the data set was last updated. I’ve used Logan County, WV as my test sample. According to the original analysis approximately 1,200 acres of Logan County was affected by MTR mining techniques in 1976. In 1985, approximately 500 additional acres of land was affected, an additional 9,100 acres in 1995 and 7,700 acres more in 2005. 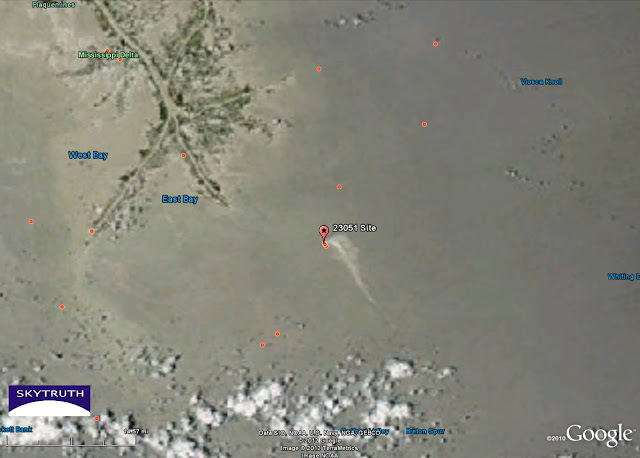 That makes a total of 18,500 acres directly impacted by mining operations as of 2005. How much has changed? 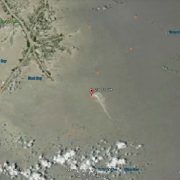 Utilizing high-resolution aerial imagery from 2011 — now viewable in Google Earth– I’ve mapped out the newly affected areas. Those areas totaled 4,500 acres, a 24% increase since 2005. 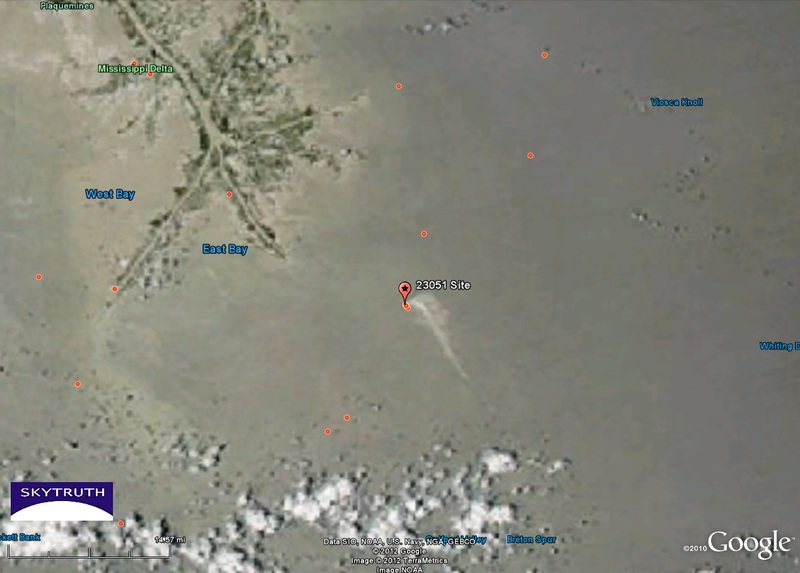 For those of you keeping track, in April the NRC received 27 reports over the course of 30 days for the site of Platform 23051 in the Gulf of Mexico off the Mississippi Delta. 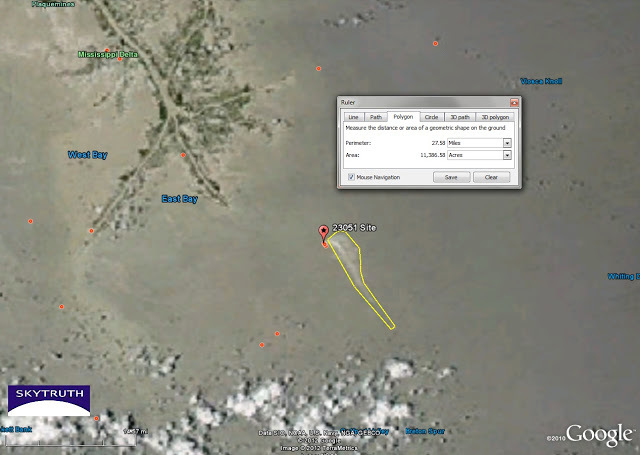 This is the site where Taylor Energy had 26 wells destroyed by Hurricane Ivan back in 2004. According to the NRC and our SkyTruth Alerts site for the month of April, Taylor reported 105.74 gallons total were coming from these leaking wells. That’s 3.92 gallons per day. But according to our SkyTruth calculations of the size and sheen of these reports, assuming a minimum average thickness of 1/1000th of a millimeter, we estimate that 7639.92 gallons were leaked during the month of April. That’s 282.96 gallons per day. 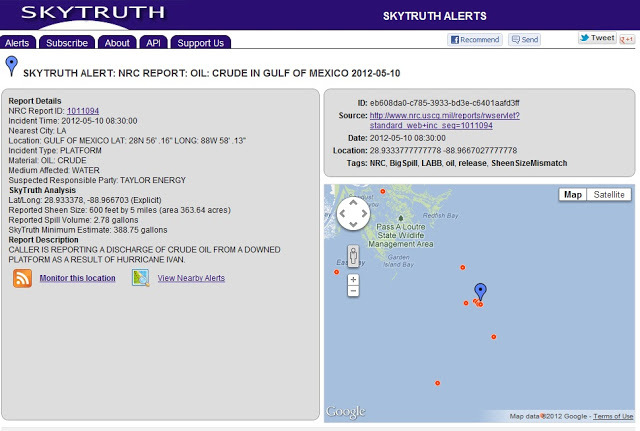 Our SkyTruth Site 23051 Chronology page is where we keep track daily of all NRC reports that are taken for this site, and you can see that page and more on our SkyTruth Oil Spill Reports site. SkyTruth Alert received on 5/11 for the NRC report received on 5/10 for a leak at Site 23051.